Welcome to Expo Pass! We’re here to help with getting your event set up. There are several different interactive areas of the Expo Pass Web and Mobile application. In order to access them, you first need to create your event. 1. Login with your credentials into the Expo Pass Web Application. 3. Complete all Event Details and click Save. 5. 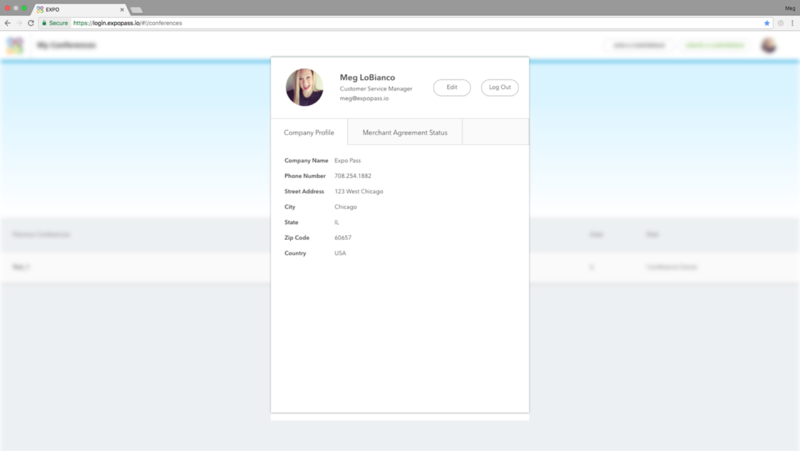 To edit your Company profile, click on the bubble that contains your initials in the upper right hand corner of the screen. You can add an image to represent yourself or your company, that, once saved, will replace your initials as your icon. 6. 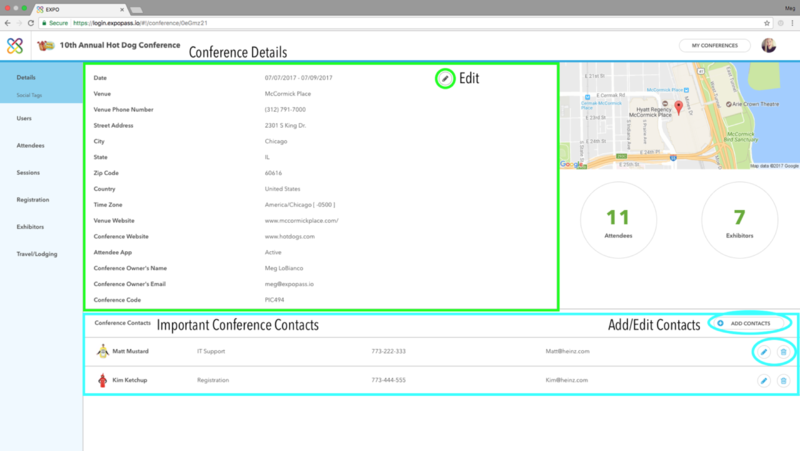 From here, you can start editing the details of your event. If you have multiple events, simply select the one that you would like to edit at this time. 7. The Event Details summary screen is displayed. 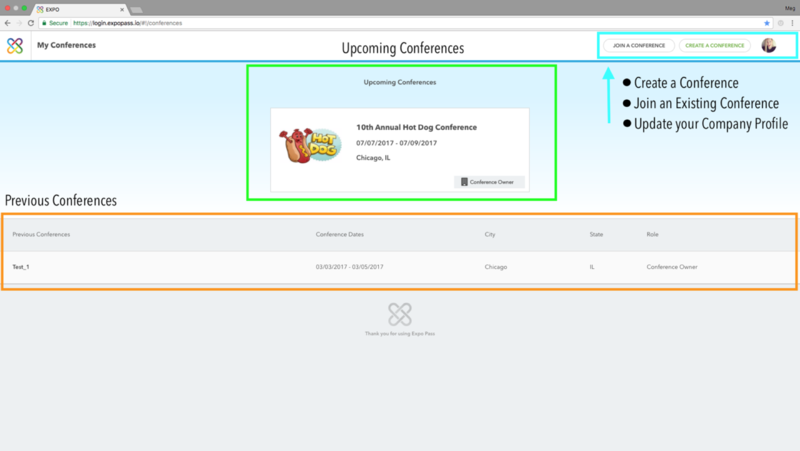 This screen is a summary of your event and where your Event Details are managed. Edit event details at any time. For additional resources on the above items, please visit our Organizer Help Center.